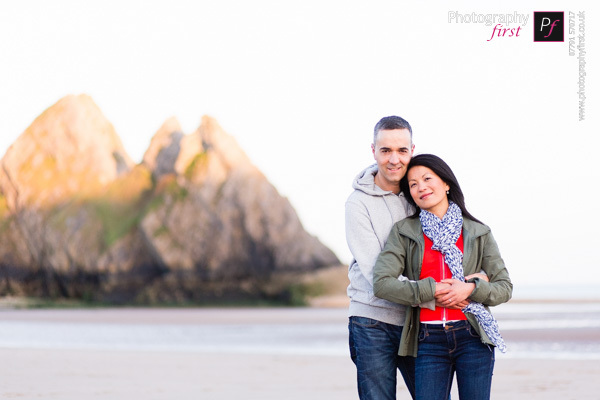 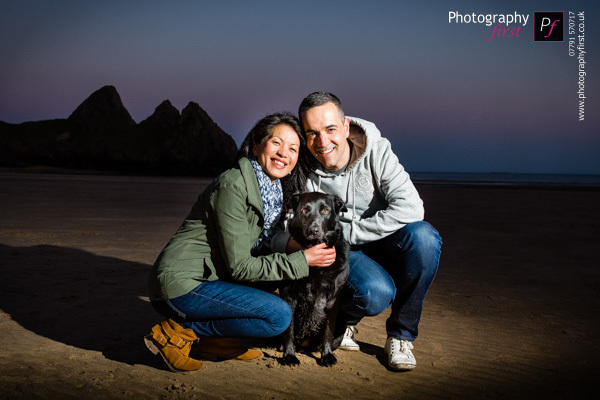 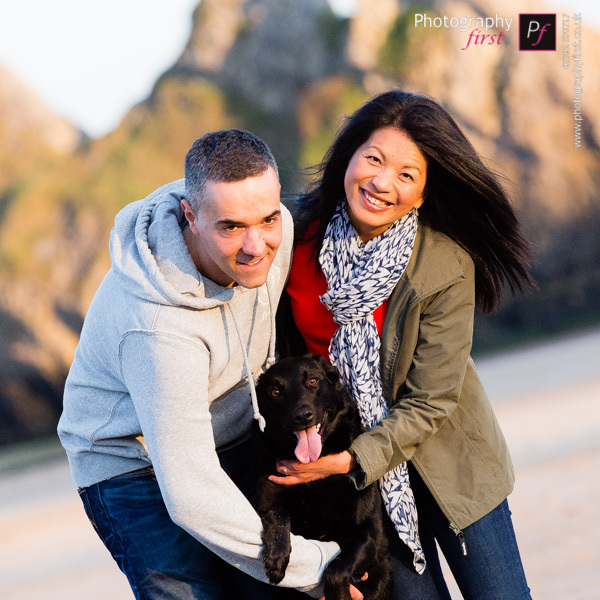 It’s been a while since I’ve photographed an engagement shoot, and with Damien and Winnie choosing Three Cliffs Bay, it was even more exciting to be photographing a pre-wedding engagement shoot again! 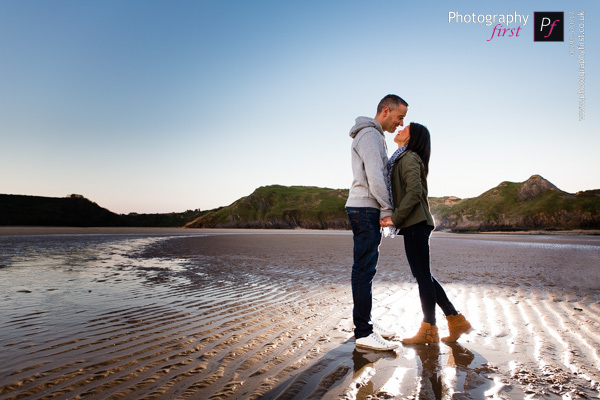 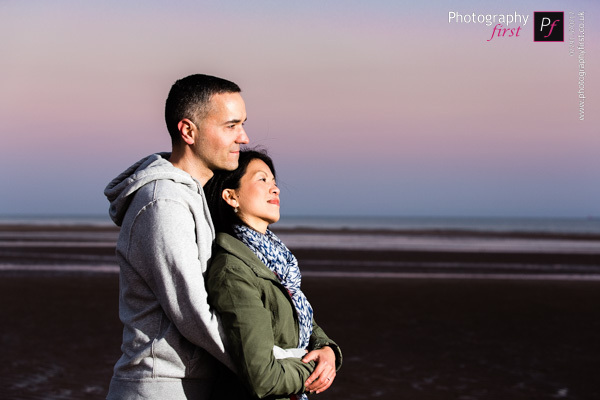 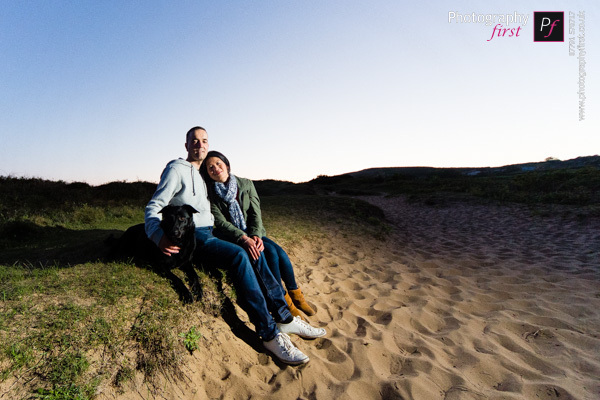 Wow, it was bit of a trek to get down to the beach, but it was definitely worth it, I love engagement shoots as it gives us the opportunity to get to know each other that little bit more before the wedding day. 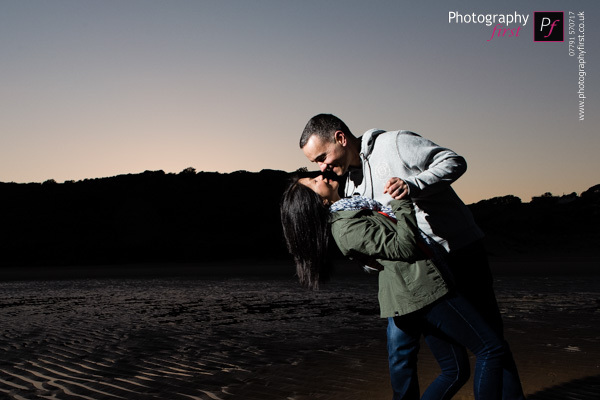 Couples also get the chance to see how I work, and they start getting used to my style, and why I am laying on the wet and sandy floor, or running around with my light stand. 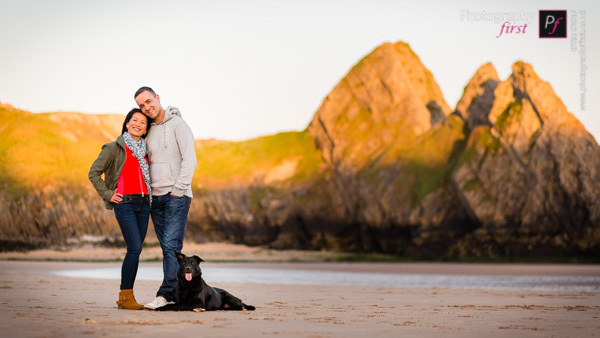 So on their wedding day, their faces are far less confused! 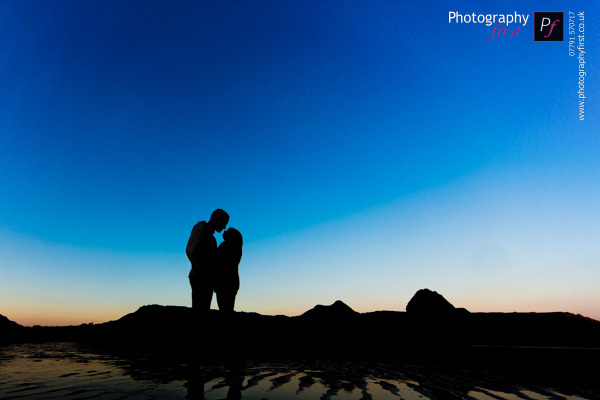 But hey, I do explain things as I go along, so you’re not completely in the dark! 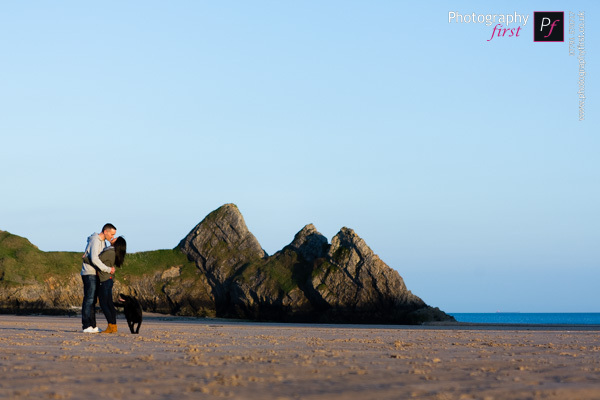 It was a beautiful summer evening, shorts and flip-flops, but as the sun went down, I paid for it! 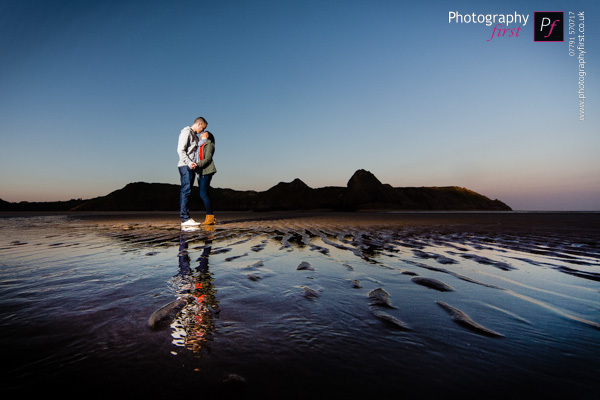 Standing in the cold puddles to get the shot and freezing my feet off – totally worth it! 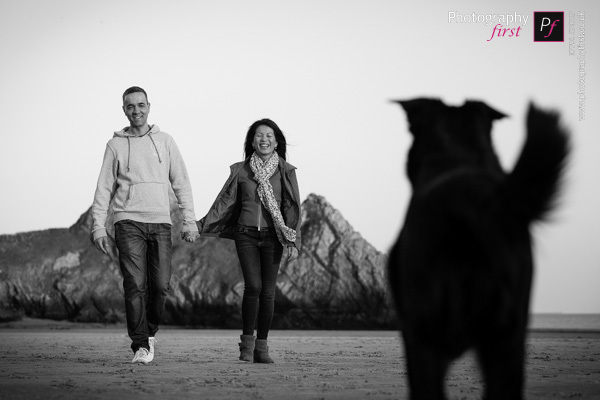 Winnie and Damien were so easy going, it made it that much easier to photograph them. 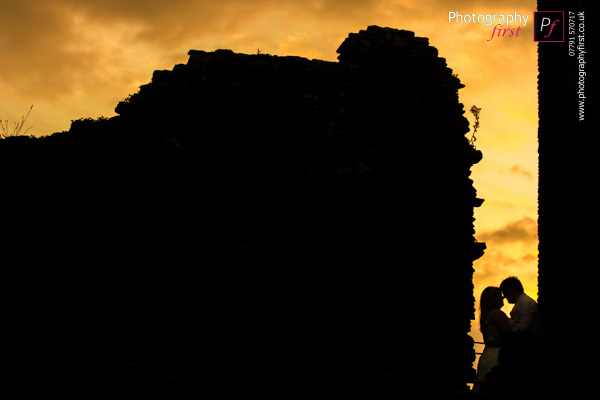 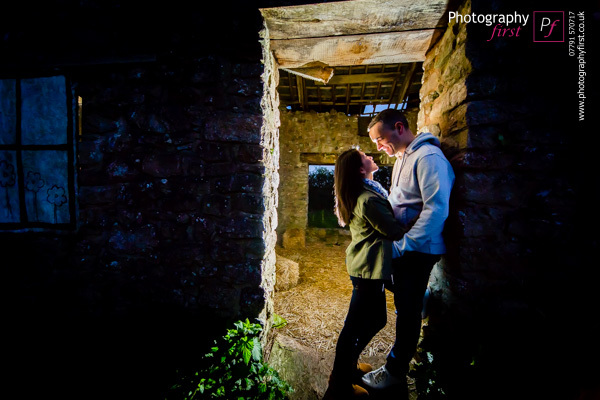 I’m looking forward to their wedding day in the Gower at the Oldwalls wedding venue!